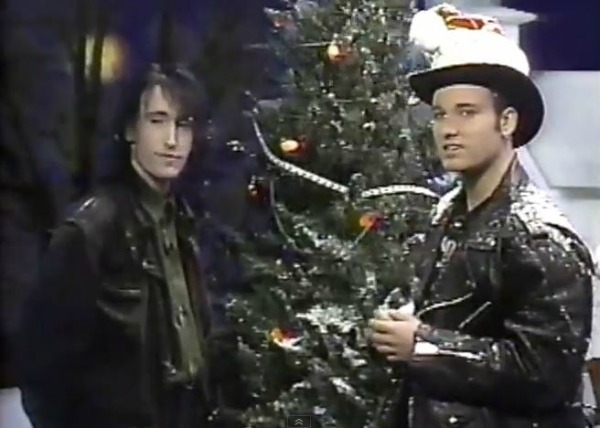 As a bonus we’ve included another clip below from the same show, in which Joey Ramone drops by to give Kendall gifts from Mikhail Gorbachev and the Ramones. Watch both below via dpallen. IIRC, The Ordinaires are the band playing the Xmas music. Head like a Hole? Whatever happened with that? Anyone notice the streamer being put on the tree is the edge to dot-matrix printer paper? LOL.